I was really glad that our last full council meeting unanimously agreed to back the motion which I was honoured to move with Bailie Jean McFadden’s support. I am really grateful that Jean seconded the motion because I know this is a cause dear to both of us. When my friend Peter was receiving his dialysis treatment it was often next to her husband John at the same hospital. Jean spoke movingly of John’s kidney failure and the Second Chance campaign which he set up which also called for a move to a presumed consent system for organ donations. 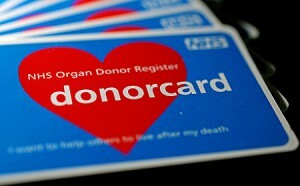 You can get more information about the Evening Times campaign here and you can join the organ donor register here. 3. That support for a change to a soft opt out system is backed by major charities, including the British Heart Foundation, Kidney Research UK, Diabetes UK, the Cystic Fibrosis Trust, and the British Medical Association (BMA). Council therefore congratulates the Evening Times on its current campaign to secure more donors and urging the Scottish Government to adopt a soft opt-out system of organ donation to address a national shortage of donors on the register. 4. To send a copy of this motion to all MSPs.